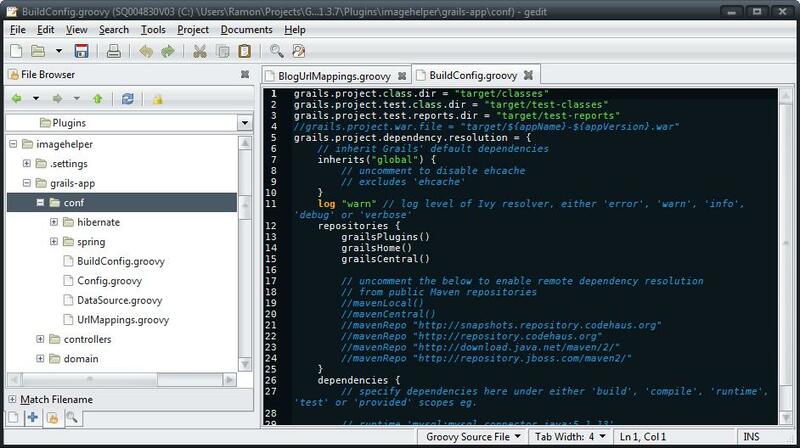 I amended the instructions on the http://grails.org/Gedit page to include the above. 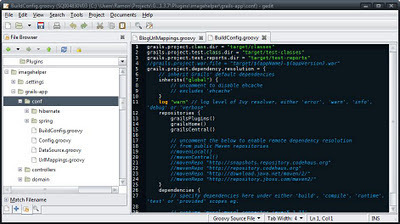 Of the gedit-grails-bundle plugins only autocomplete and zen coding work unmodified, the rest have unmet dependencies; this could probably be resolved by tracking down and installing those dependencies, but that can be a very slippery slope. """Open the file and jump to the line.""" # There is not enough information to open a document. Without this change, the URI passed to the new tab has a leading "file://" that will prevent the file from opening properly. edit: Changed where the _init_.py fix goes, in the method where the leading 'file://' is added to the URI in the first place; also added install location for Grails.tags.gz file.